With a 97% approval rating on Rotten Tomatoes, THE ENDLESS is one of the best-reviewed films of the year. 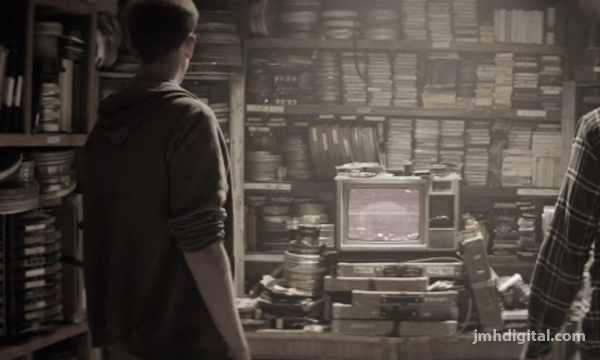 Acclaimed filmmakers Aaron Moorhead and Justin Benson return with this mind-bending supernatural thriller about two brothers who revisit the UFO death cult they escaped as teens, only to find there may have been truth to the cult’s otherworldly beliefs all along. Benson and Moorhead also star in the film as the brothers, along with Callie Hernandez (Alien: Covenant, La La Land), Emily Montague (Fright Night), Lew Temple (The Devil’s Rejects), Tate Ellington (Straight Outta Compton) and James Jordan (Wind River). 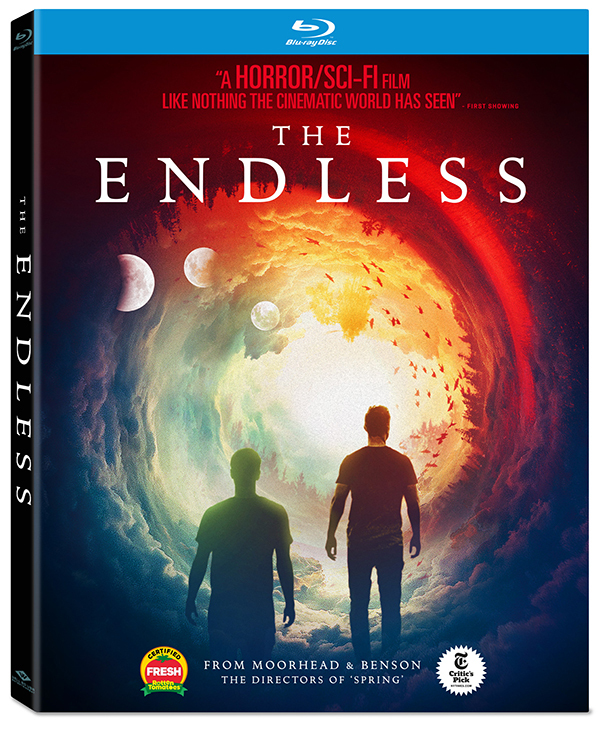 THE ENDLESS debuts on digital, Blu-ray™ and DVD June 26 from Well Go USA Entertainment. Following their Lovecraftian modern cult classic Spring, acclaimed filmmakers Moorhead and Benson return with this mind-bending thriller that follows two brothers who receive a cryptic video message inspiring them to revisit the UFO death cult they escaped a decade earlier. Hoping to find the closure that they couldn't as young men, they’re forced to reconsider the cult's beliefs when confronted with unexplained phenomena surrounding the camp. As the members prepare for the coming of a mysterious event, the brothers race to unravel the seemingly impossible truth before their lives become permanently entangled with the cult.